Mr. James Marvin Welford, 80, of Mt. Pisgah passed away peacefully on Monday, April 1, 2019 at his residence. He was a founding member of the Mt. Pisgah V.F.D. and active volunteer firefighter for over 39 years. 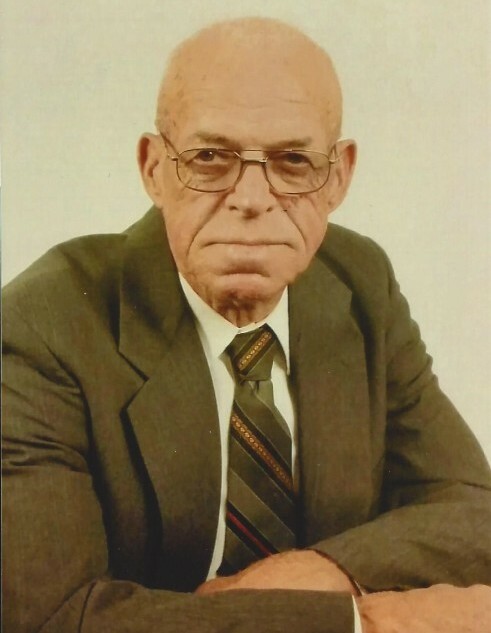 Mr. Welford also served on the Greene County School Board for 22 years. He retired from Kimberly-Clark Paper Company after 33 years. He was a faithful member of Mt. Pisgah United Pentecostal Church for 53 years and served on the church cemetery board. He was a faithful and devoted husband, father, grandfather, brother, uncle, friend, and community servant. He was loved and will be greatly missed. Mr. Welford was preceded in death by, his parents, James and Oneida Welford; and grandson, James Elliot Davis. Left to cherish his memories are, his wife of 55 years, Helen Lucille Welford; children, Onida Parrent (Monty), Marlin Jo Lollis (Marion), Marvin Ray Welford (Lisa), Martha Davis (Stephen); brothers, Charles Welford, Jimmy Welford (Beth), Ollie Welford (Joyce); sisters, Joyce Newton (Bill), Augustine Carter (Charles), Carolyn Sue Cherry (Richard), Iva Ann Wilmoth (Bill); sister-in-law, Judith Bright (Alton); Eleven grandchildren; four great-grandchildren; and a host of loving nieces, nephews, and friends. A wake will be on Tuesday, April 02, 2019 from 6 – 9 pm at Mt. Pisgah United Pentecostal Church. The Funeral Service will be Wednesday, April 03, 2019 at 11 am. Interment will be in the Mt. Pisgah United Pentecostal Church Cemetery with Rev. Karl Causey officiating. The pallbearers and honorary pallbearers will include members of the Mt. Pisgah V.F.D. Online condolences can be given at www.freemanleakesville.com. Freeman Funeral Home – Leakesville is in charge of the arrangements. | P.O. Box 246, 1601 Lackey St.